Prepare yourself for a lot of piratey talk to invade Co-Optimus as Assassin's Creed IV: Black Flag is officially getting a co-op mode. So, "arrr! ", "AVAST! ", "yo ho ho and a bottle of finely purified water because seriously the stuff they drank in those days had to be mixed with rum to kill what was in it." Alright, with all of that out of my system, let's talk some details. Many of you that picked up and played Assassin's Creed III may be familiar with the "Wolfpack" co-op mode. Essentially you and a group of friends (up to 4 players, total) were tasked with assassinating some high profile targets in an area. The faster and, more importantly, stealthier that you accomplished this, the more time that would be added to the clock that's continuously ticking down, and the further along you would progress in the sequences. It was, in some ways, a fancy "horde" mode. Instead of waves of enemies coming at you, though, you had to approach the enemies without being spotted and off them in some spectacular fashion. It was also quite fun. So, the good news is that if you were a fan of this particular co-op mode, it'll be coming back for Assassin's Creed IV, with a couple additions. The entire "Wolfpack" mode has been split into two game types: Discovery and Unleashed. The Unleashed mode will offer the same hectic, crazy fun that was present in AC 3's version, with a little tweaking and a Caribbean theme this time around. It also adds in a couple of new objectives from the original, such as defending treasure chests from would be pirates or acquiring packages prior to offing your victims. 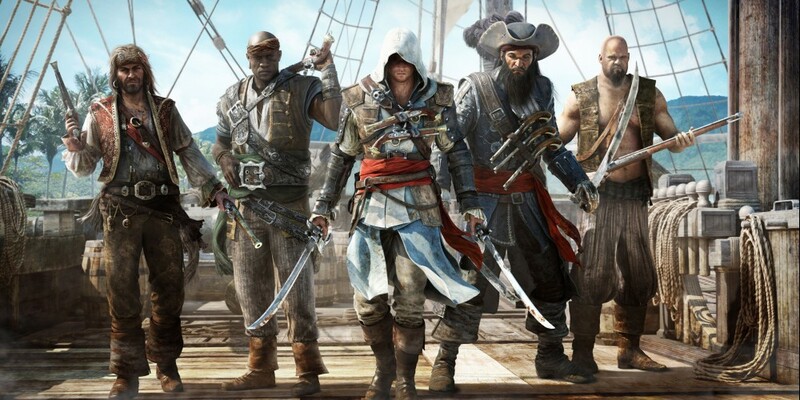 The other game type, Discovery, is intended to be more of a tutorial to all of AC 4's multiplayer options. It is described by Damien Kieken, the director of AC 4's multiplayer, as a "linear experience with a story wrapper." In it, you'll be given something of a guided tour through the different stages of the co-op mode, along with the different mission types (i.e., sync kills, disguised targets, the new infection and defense). Essentially, you're doing everything you'd do in Unleashed, but at a less hectic pace. So if you're looking for some practice and some tips on how to maximize your efficiency in Unleashed, Discovery is the place to start. Assassin's Creed IV: Black Flag is currently slated for release across all the major consoles and PC, albeit at different times. The PS3, Xbox 360, and Nintendo Wii U versions are set to come out on October 29, 2013, while the PC, PS4, and Xbox One versions have the date of December 31, 2013. The latter is likely a place holder date until the next-gen console release dates are finalized. Page created in 0.4393 seconds.